The reasons most people over eat have little to do with hunger or their actual need for energy. It is often for reasons such as stress, boredom, habit, loneliness, tiredness, addiction to sugar and dehydration. In addition, ingrained negative thought patterns and associations around food (which come from our previous experiences) and lack of will power, or inability to consciously control the desire to eat certain types of food, prevent them from making healthy choices to reduce their weight. The process of hypnosis enables powerful communication between your conscious and subconscious and so by listening to and absorbing the words and suggestions, you are able to easily change patterns, thoughts, beliefs and habits at a deeper subconscious level. By creating new associations and patterns, your subconscious is sending new helpful messages to your conscious, so you no longer rely on will power to control what and how much you eat. There is a great deal of evidence that diets do not actually work in the long term. It is only by changing your thoughts, triggers and eating habits to ones which are healthy and beneficial for you that you will reduce your weight and size to one which is right for you. By listening to this track 2 to 3 times a week you will soon notice a change in your patterns, you will be drinking more water, feel less cravings, enjoy the food you do eat and feel more in control of your choices. 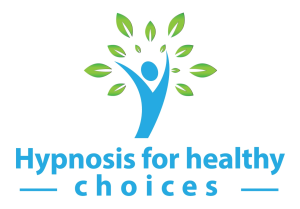 Using hypnosis to change your thoughts, patterns and eating habits is becoming more and more popular with celebrities such as Kim Kardashian, Geri Haliwell, Sophie Dahl and Lilly Allen using it to help reduce and manage their weight. "I noticed that my behaviour patterns had changed. I no longer wanted to eat relentlessly. And when I did eat, I wanted fruitier puddings, or tiny squares of dark chocolate, instead of fatty chocolate puddings."